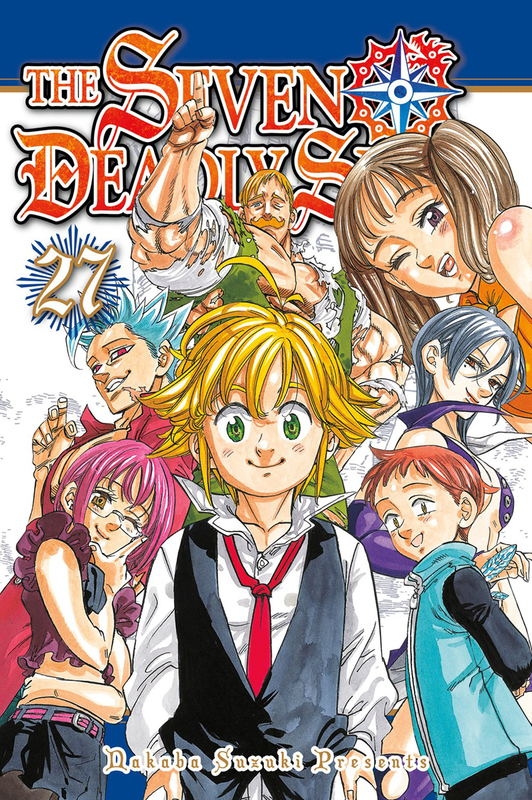 The Seven Deadly Sins manga volume 27 features story and art by Nakaba Suzuki. Where do I start with this volume? Instantly from the cover art with all seven of our favorite Sins together like that just tells me this is going to be a fun volume, and I was right! So much information on our characters, but also just some really fun moments where we got to see them having fun after all the craziness that has happened, but that just leads to their next adventure and I can't wait to read that next volume. This volume came in such great condition thanks to RightStuf.